We recently launched our Google Reviews page and will be listing all the feedback we receive. 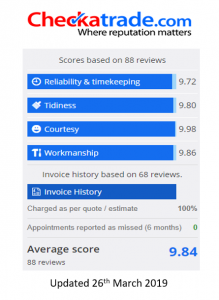 This not only gives new customers the reassurance they are dealing with a respected and honourable company but can also be a source of inspiration for Sovereign Home Improvements! Many thanks to everyone that has left us their feedback on our Google Reviews page. We will add more of your comments from our Google Reviews and reviews to this page as and when we receive them..